Found 3 file extension associations related to AutoSketch and 3 file formats developed specifically for use with AutoSketch. 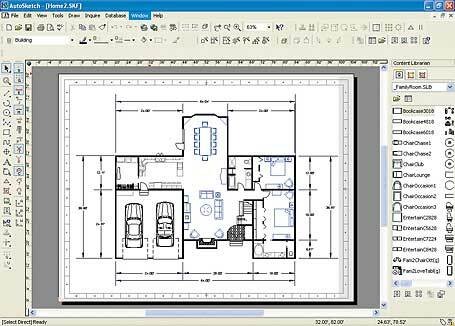 AutoSketch software provides a complete set of CAD tools for creating professional-quality precision drawings. A series of tutorials get you up and running fast. A Microsoft Windows XP–like interface provides a familiar environment for straightforward drafting. Content libraries give you the simplicity of ready-made, drag-and-drop content. And DWG format compatibility means you can create and share industry-standard drawings from the get-go. The AutoSketch software seems to be old or discontinued. If you need more information please contact the developers of AutoSketch (Autodesk, Inc.), or check out their product website.